Since its launch in Bengaluru in 2016, myGate has validated 24 million visits through its mobile app across 1,00,000 homes. 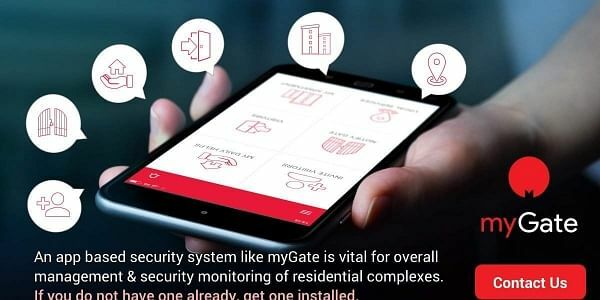 NEW DELHI: Mobile-based security management solutions provider myGate today said it has raised Rs 16 crore, led by Prime Venture Partners. The company plans to use the funds to strengthen its technology platform and expand to cities like Pune, Hyderabad and Delhi-NCR in the next six months, Vijay Arisetty, CEO & co-founder of myGate, told PTI. "Security at gated communities has long followed the conventional 'man-guarding', paper and pen system. Technology has hardly touched the life of security guards and that is what we are looking at changing," he added. Arisetty, an ex-IAF pilot and Shaurya Chakra awardee, explained that while significant investments have been made in physical infrastructure like access cards, boom barriers, biometrics, landline intercom, and others, residential premises are unable to keep track of domestic helps, visitors, delivery trucks, taxis/cabs and other vehicle movements. myGate's solutions comprise an Android app for security guards and an Android/iOS app for residents as well as voice call support for non-smartphone users. Using the platform, all visitor entries and exits are logged digitally, with complete visibility and control of the resident, Arisetty said. "We are looking at scaling up to 2 million homes across the top 7 cities within the next two years," he said. myGate estimated that there are over 1,00,000 gated communities in the top 7 cities in India, with 35 million residents. myGate, which offers other facilities like kids safety alerts, touchless resident identification and visitor overstay alerts, has partnered builders like Sobha, Prestige, Purvankara, Lodha and others for deployment of its solutions. Sanjay Swamy, Managing Partner, Prime Venture Partners said myGate is addressing a huge market opportunity and "this funding will help them further expand their thought-leadership and market-leadership".